ITEEA - Get Ready for Action in ITEEA's Exhibit Hall! Ride-on Car Builds! Mini-Theatre Presentations! In addition to an exhibit hall FULL of vendors sharing the latest products and services for technology and engineering educators, there’s even more happening! Here’s some of what you’ll find in ITEEA's Exhibit Halls A and B.
Highlighting Best Practices Through Integrative STEM Education! The ITEEA STEM Showcase is a unique and exciting event that features ideas, techniques, or best practices related to learning activities, marketing materials, career guidance, facility design, program design, assessment methods, equity, or classroom and laboratory management techniques. Showcasers illustrate a single element of technology or engineering teaching and learning that they feel they have exemplified. 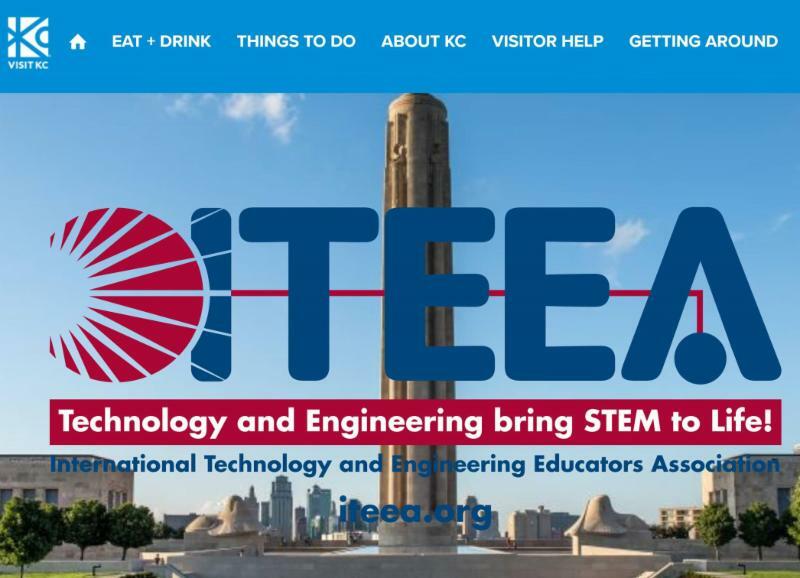 Attendees are invited to join ITEEA in the exhibit area for our Celebration Reception immediately following the STEM Showcase. Go Baby Go! provides mobility (and play!) to very young children in the form of adapted toy ride-on cars. Over the course of the conference, university faculty and students will be adapting several motorized ride-on cars ion the Exhibit Floor. Detailed information about the Go Baby Go! program and ways to get involved will be available, and all conference attendees are encouraged to stop by for as little or as long as they’d like to see the program in action. The Technology and Engineering Education Collegiate Association is well represented at the ITEEA Annual Conference, with over 20 universities participating annually in a series of exciting competitions that require fast-paced ingenuity to solve problems and create solutions pertaining to robotics, manufacturing, and more. This year, teams competing in the Transportation Challenge will work to model, design, and fabricate a new frame for an existing quadcopter that will allow it to pick up packages of varying shapes and sizes and deliver them to predetermined locations. You won’t want to miss the finals! In Atlanta, ITEEA introduces Mini Theaters, which provide a forum for action-oriented presentations on topics such as Techniques for Introducing STEM Careers, LAUNCHing K-8 STEM into the Stars, Implementing Bench-Top Machine Tools in Education, and more! Make plans to spend time in the Exhibit Hall in Kansas City! Stop by and check out the action!